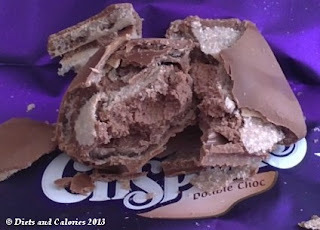 Cadbury’s Crispello bar was launched last year, mainly aimed at weight conscious women who might be looking for a lighter, lower calorie chocolate bar. The Crispello is described as: Thin crispy shells with a creamy chocolate filling, covered in Cadbury milk chocolate. 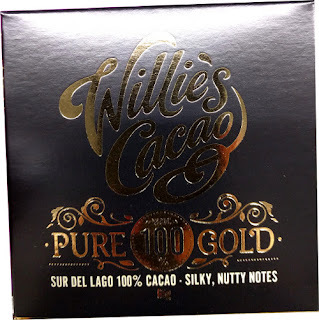 The chocolate bar has three individual milk chocolate pieces which you can break off to eat separately. The whole bar has 165 calories. But if 165 calories is too many to fit into your snack allowance, Cadbury have just the solution. 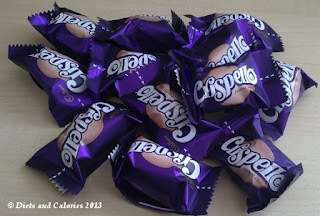 Crispello Individually wrapped mini bars – just 55 calories each. 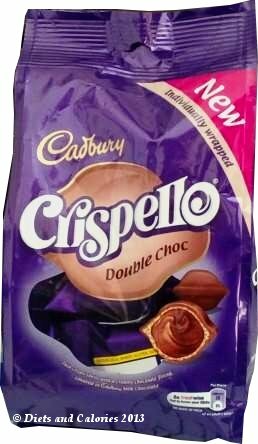 Crispello Double Choc minis are sold in a multipack of 12 individually wrapped mini bars. 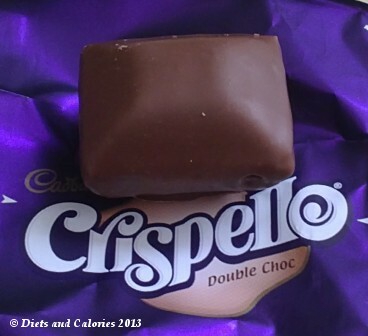 Crispello's are so delicious, especially the soft ‘truffle’ type chocolate filling in the middle. These individually wrapped bars are ideal if you find the prospect of an open bag of choccies too tempting to resist. Individually wrapped bars may not be as environmentally friendly as having them loose in a one bag, but they may help with the obesity epidemic! OK, that's probably stretching it a bit. But if you have to stop and unwrap each chocolate bar, it may help some of us stop and think about how many we've had. And you'll have the empty wrapper to prove it! A 55 calorie Cadbury choccie bar is an ideal amount for a little bit of chocolate heaven and just enough to satisfy that chocolate craving. 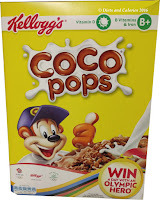 These were found in a branch of the Co-operative supermarket. Inside a Crispello - be prepared for a crumbly mess, but so worth it! 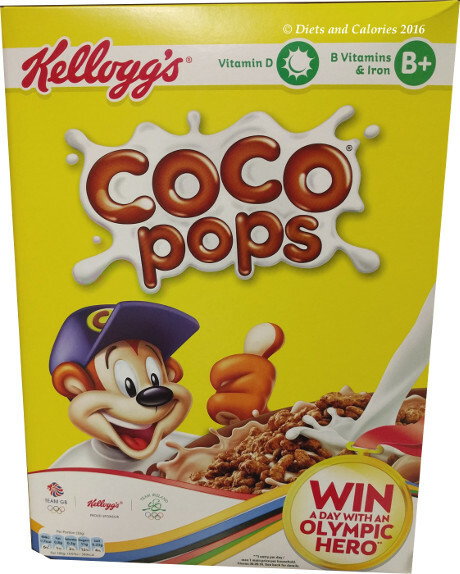 Nutrition information per bar: 55 calories, 0.7g protein, 5.1g carbohydrate, 4.1g sugars, 3.6g fat, 1.8g saturates, 0.2g fibre, 0.02g salt. Suitable for vegetarians.